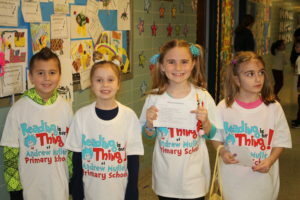 Andrew Muller Primary School recently participated in a week-long literacy celebration, Parents as Reading Partners (PARP), as part of the District’s commitment to promoting a love of reading. 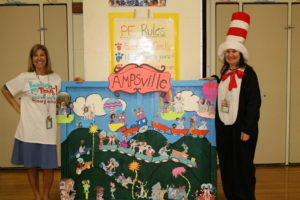 This year’s PARP theme was “Parpical,” and every lesson was created with a Dr. Seuss theme in mind. 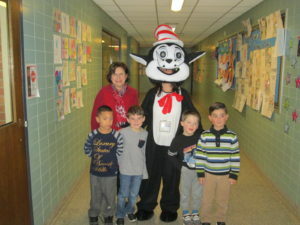 On the first day of the celebration, Principal Laura Gewurz dressed as The Cat in the Hat. Throughout the week, five faculty members from the Andrew Muller Primary School were SMART Board Mystery readers and read Dr. Seuss books to the students, including “The Cat in the Hat,” “Horton Hears a Who,” “Green Eggs and Ham,” “Yertle the Turtle,” and “The Sneetches.” At the end of the week, students joined musical performer Lee Knight during an assembly to sing original Dr. Seuss-inspired songs. Students at the Laddie A. Decker Sound Beach School also participated in this event by reading age-appropriate books to Andrew Muller Primary School students over Skype. 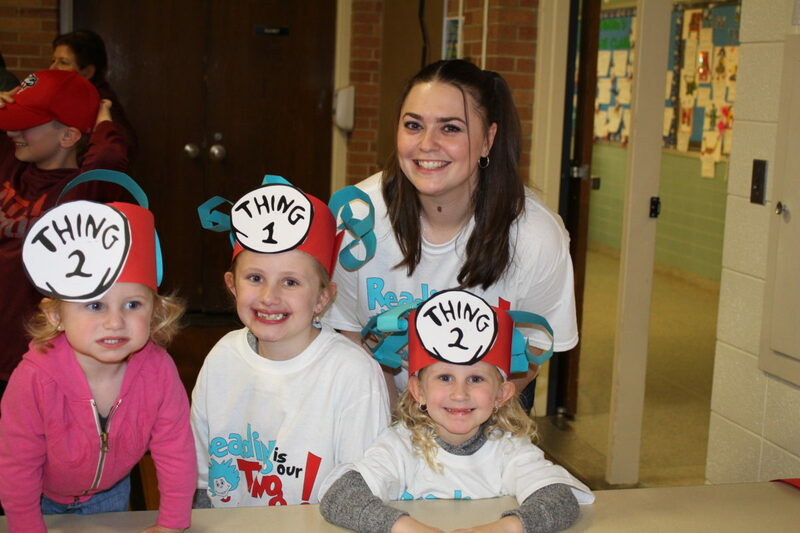 The third-to-fifth-grade students shared their passion for reading with kindergarten through second-grade students, and they recommended some of their favorite books when they were younger. North Country Road Middle School students—grades six, seven and eight—visited Andrew Muller Primary School and read to the students as well. The collaboration between schools was part of the District’s mission to inspire students and foster intra-district collaboration.